When you know you have the best product or service, it certainly helps to have an authority support your business. 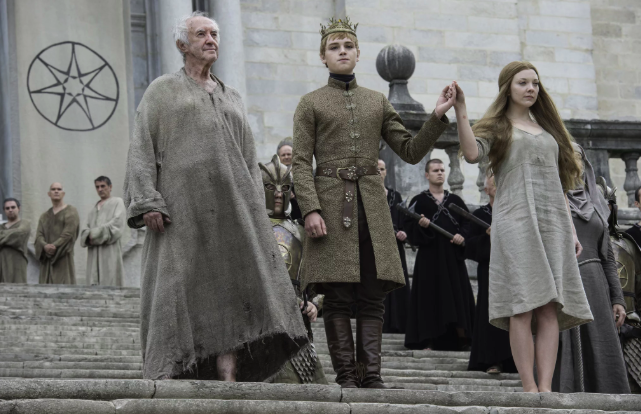 Think of the Faith of the Seven, the “new gods” in Westeros, which was mostly a quiet practice until the reign of King Tommen & Queen Margaery. With the support of the new King & Queen, the Faith of the Seven became Faith Militant, imposing their rule on every occupant of King’s Landing. Before their faith was empowered by the King & Queen, they were impotent. After, they ruled too. How does this apply to small businesses? Well, having an authority behind your product or service increases your profile to the masses. Having your work condoned by a community leader or voice of authority in your field allows you to build trust with their constituents, as well as your own. In Game of Thrones, a world of plotting and back-stabbing (both literal and figurative), true loyalty is a rare quality. 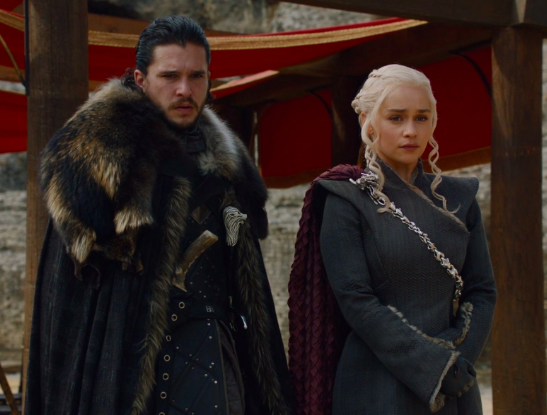 When the motley crew of Daenerys supporters shows up in King’s Landing to request a truce from Cersei so they all can band together for the True War to the north, Cersei asks for one thing: for Jon to bend the knee to her and forsake his word to Daenerys. Jon refuses, proving his loyalty loud and proud in front of everyone. This is so shocking to many, because the path of least resistance would be to say whatever Cersei needed to hear in order to get her help. To this, Jon responds “When enough people make false promises, words stop meaning anything.” Truth, Jon. Be loyal to your clients. Say what you mean, and do what you say you will do. Keep your promises. Also, take the time to appreciate clients who are loyal to you and who recommend you to others. Loyalty is exceedingly rare in the modern age, where options abound and deals are everywhere. Be a paragon of loyalty to your clients and their interests and appreciate those who do the same for you. Gossip was so important in Westeros, there is a seat on the Council just for it: The Master of Whispers. It is this person’s job to capture the words of the common people and bring them back to the ruler. The spies of the Master of Whispers, Varys’s “little birds,” report on everything they hear, all the time. Additionally, they spread information and frequently disinformation, in service of another purpose. The official word, or “advertised word” if you will, from the throne does not even move as fast as the Little Birds’ gossip. The lesson here for us entrepreneurs: never under-estimate word of mouth. This sword cuts both ways: Provide great service and you will be rewarded with clients who tell their friends, family, and colleagues of what you provide. Provide poor service, and the modern day “Little Birds” (ie. online reviews) will spread the word of discontent just as quickly. The women of Westeros know a thing or two about patience. Cersei waiting patiently to marry a king, for that king to die, for both her sons to rule and die, and for the fall of the Faith Militant for her time to rule. She waited, but was not idle: she plotted and planned and laid groundwork all the while. Time and time again, she persisted against obstacles in her paths, defeated her enemies, and gained favor and approval in the only place it mattered: the battlefield. She was strongest and she persisted while others fell. Cersei is a lesson is persistence. Do not just sit back and wait for your growth—seek it. Look for your ins (networking perhaps? filling a gap? answering a cause?) and use them to your advantage. Consider if Cersei had not intervened when she did when Joffrey’s parentage was disputed? I believe you’d see a very different end, and a considerably less successful Cersei. To be clear, Cersei is a detestable character and I by no means love her, but that woman has patience & persistence in spades and she works every opportunity to her advantage. In the Game of Thrones, you win or you die. In the game of marketing your small business, you thrive or your flounder. Where are you headed?